Okay seriously, sometimes you just wanna eat!! I don’t want to fuss around in the kitchen, I want something ready to be devoured in like 10 minutes max. These are the times that you may want to eat someone’s arm if you don’t get food stat!! Okay I don’t know why I just said that because I saw the movie ‘Alive’ where those stranded airline passengers crashed in the Andes and had to eat each other to stay alive and i’m extremely confident that I would never actually eat someone’s arm…I’d probably just remain grumpy as hell and continue to lick snow. So tonight, one of those HANGRY kind of nights. 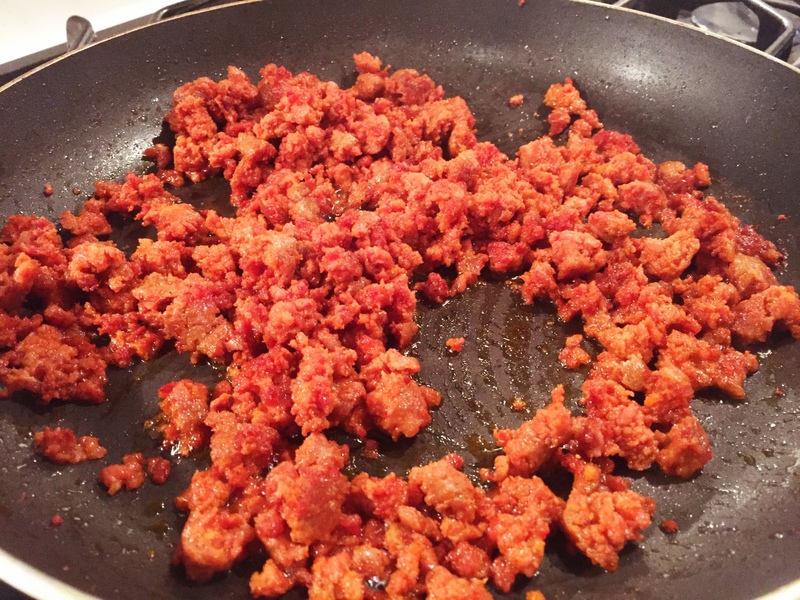 So I pulled out some chorizo sausages, took them outta the casing and fried that baby up like ground sausage. I made it a bit crispy. 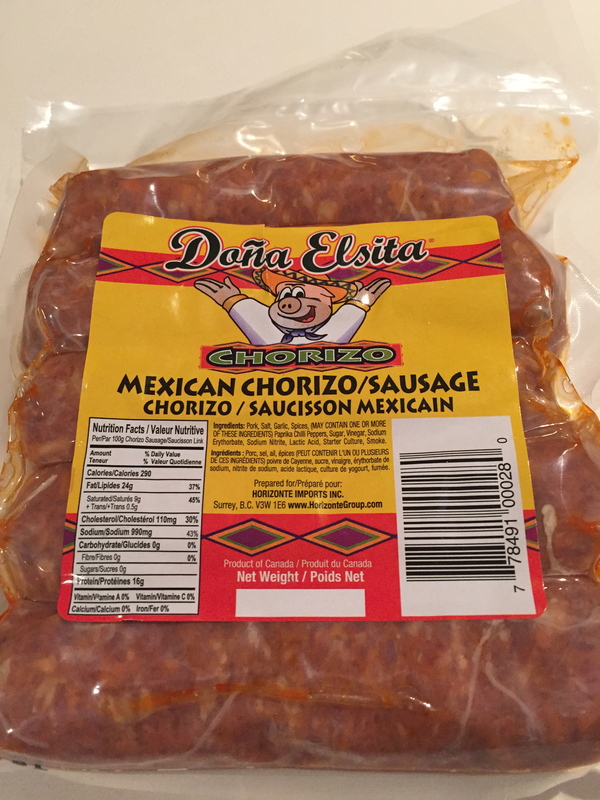 The kind of chorizo I get is from a little mexican shop and it’s lovely and spicy. mmmmm. 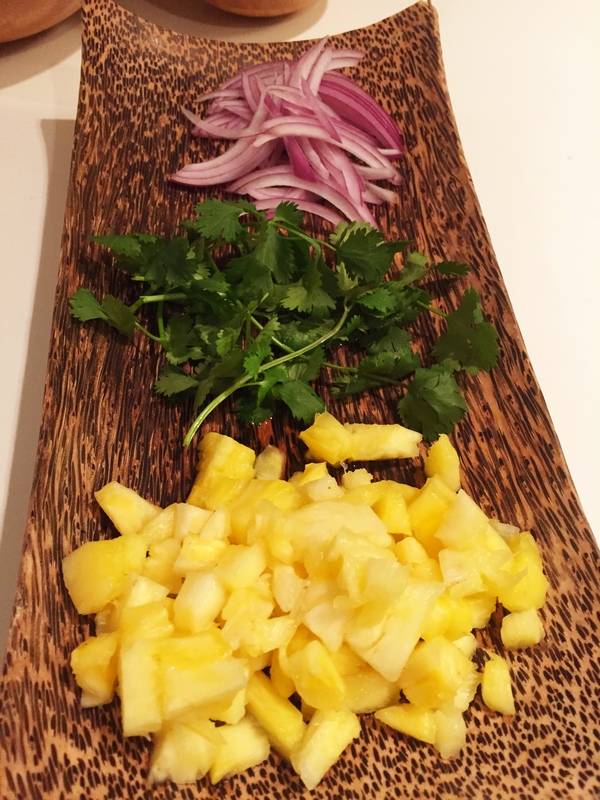 Next chop up some fresh pineapple (I cheated and bought one of those crazy little packages of chopped pineapple at the grocery store cuz when you are hangry…you ain’t flippin chopping a pineapple). I chopped this in to smaller pieces. I also chopped up some red onion, cilantro stalks and an avocado. 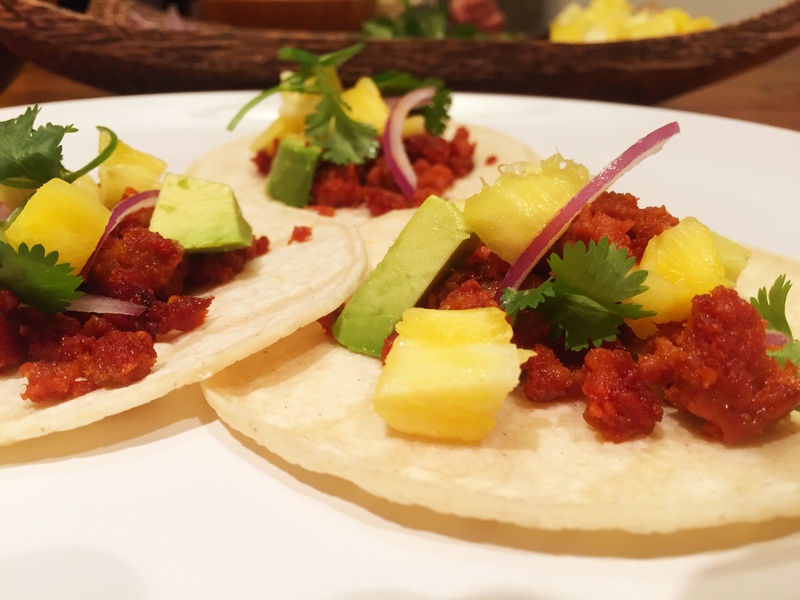 Warm up some tortillas…assemble your little blanket of awesome and get ready to be instantly cured of the hangriness!! 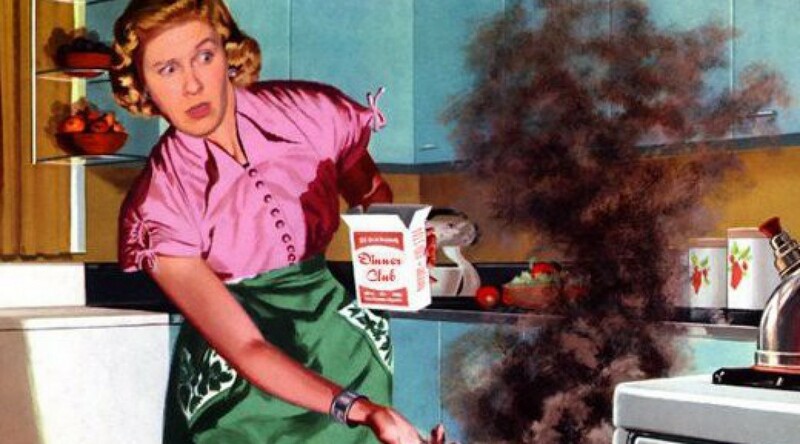 No recipe required…comeon…my mood is mega lazy! !